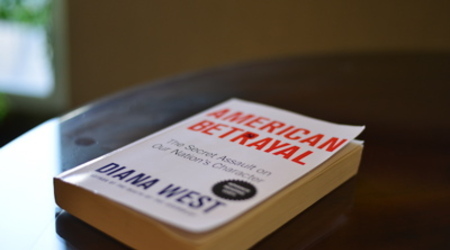 It has been with astonishment and some chagrin that we have watched the controversy over Diana West’s book American Betrayal: The Secret Assault on Our Nation’s Character unfold over the last four or five months. The battle opened this summer when Frontpagemagazine.com, having removed an earlier positive notice, published a ferociously critical review by the distinguished historian Ronald Radosh. The rhetorical temperature of the exchanges that followed was extraordinarily high, which is one reason we waited until last month to publish a review of the book. Because of the polemics back and forth, the review by Andrew C. McCarthy in our December issue was perforce a consideration not only of the book but also of the dudgeon the book has occasioned. It is a testimony to the height of that dudgeon that Mr. McCarthy’s essay provoked a further outpouring of commentary. Accordingly, we publish below the longest letters section in the thirty-odd-year history of The New Criterion. It is perhaps worth noting that, long though it is, it could have been even longer. We do not wish to weigh in about the merits or failures of Ms. West’s book. Both have been minuted with exhaustive, not to say exhausting, thoroughness. There is one aspect of the episode, however, that we believe bears further consideration. It has to do with what we might call premature historical closure. Much of the criticism directed at Ms. West has to do with the details of the historical portion of her analysis—for example, whether, as she claims, FDR’s emissary Harry Hopkins was a Soviet agent, whether the $11–12 billion in Lend-Lease aid the United States provided to the Soviet Union was influenced by pro-Soviet operatives, or whether concessions made by Roosevelt to Stalin at Yalta in the winter of 1945 may have been influenced by Soviet agents such as Alger Hiss, who attended the conference as a top aide to the Secretary of State Edward Stettinius. By 1938, the Soviet espionage apparatus in Washington had penetrated the State Department, the Treasury Department, the Bureau of Standards, and the Aberdeen Proving Ground in Maryland. . . . [T]he group of active sources included: one assistant to the Assistant Secretary of State; one assistant to the Secretary of the Treasury; a mathematician working on one of the top-secret military projects of the time; and an expert in the Trade Agreements Division of the State Department; and employee in the Bureau of Standards.
. . . The espionage production of these men was so great that two (and, at one time, three) apparatus photographers operated in Washington and Baltimore to microfilm the confidential Government documents. . . . It is hard to believe that a more highly placed, devoted, and dangerous espionage group existed anywhere. This litany comes not from Diana West but from Whittaker Chambers, whose 1952 book Witness provides a spellbinding account of Soviet espionage and infiltration of U.S. governmental institutions. “It is sometimes said,” Chambers notes, “that the Communist penetration of the United States Government, while sensational, was after all comparatively small.” Chambers himself believed that the penetration was in fact “numerically great,” and noted that, in any event, “effectiveness, not numbers, is a more accurate measure of the infiltration.” Because of the mood of the times, Chambers observes, the Communist Party could recruit its agents not just “here and there” but “by the scores within the Government of the United States.” The recruits constituted, he wrote, “a true Fifth Column” whose “primary allegiance” was not to the United States but “to a revolutionary faith.” For many today, we suspect, the phrase “Communist conspiracy” has a quaint, almost risible quality, as if it named a threat that might be lunatic but is also surreal. Because America triumphed in the Cold War, the fact that a Communist regime was bent on its destruction is difficult to credit. “Precautions,” as Benjamin Jowett once observed, “are always blamed. When successful they are said to be unnecessary.” And when they are not successful? Perhaps Chambers was wrong about the significance or the extent of the network of espionage and subversion he catalogued. Perhaps Kramer was wrong about the record of the Roosevelt administration’s handling of the charges. But we believe that such reflections, and the reflections of many other commentators, including such critics of Diana West as John Haynes and Harvey Klehr (who have also contributed a letter below), suggest that the matter is worth further discussion. Or consider the matter of Yalta. Conrad Black eloquently argues that “to breathe fetid air into the limp, false sail of the Yalta Myth is nonsense. The problem wasn’t Yalta—it was Stalin’s non-compliance with Yalta.” And yet, as the historian Paul Johnson points out, at Yalta, Stalin demanded, and received, manifold territorial concessions. Whittaker Chambers described Yalta as “a diplomatic disaster.” And reflecting on the Yalta agreements in the mid–1960s, William F. Buckley Jr. lamented that the concessions made by Britain and America had “ensured the consolidation of Stalin’s power in the territories he had overrun during the war, and ensured also the expansion of the Communist system over whole continents.” World War II began when Poland was attacked by Germany in 1939. It is a cruel irony that, nearly six years later, the war should end with Poland and much of the rest of Eastern Europe exchanging the jackboot of German totalitarianism for the Russian variety. Perhaps Messrs. Johnson, Chambers, and Buckley are in error. Our point is not to assert that they are correct, only that there is room for discussion and disagreement. The historian Andrew Roberts, pointing out that in February 1945 the Red army was less than forty-five miles from Berlin and had some 2 million troops massed at Poland’s doorstep, forcefully concludes that “Yalta was the best deal that Roosevelt and Churchill could have negotiated in the circumstances.” Perhaps so. But Roberts also notes that Yalta remains “hugely controversial even to this day.” It remains hugely controversial partly because of the post-war fate of Eastern Europe, partly because of lingering questions about how the agreement was forged. The presence at Yalta of a highly placed Soviet agent in the person of Alger Hiss may have been mere dramatic window dressing, signifying nothing substantive, but it contributes to the general murkiness that makes Yalta, even today, “hugely controversial.” The murkiness, the lack of definitive knowledge, that surrounds many events in this historical saga is what prompts us to resist ending the discussion. Part of what makes Conrad Black’s energetic and provocative biography of Franklin Roosevelt so interesting is that Roosevelt, a bête noir of conservatives since the Great Depression, emerges as a hero on all counts: the savior of capitalism as well as (in the words of Black’s subtitle) a “champion of freedom.” Hitherto such encomia for FDR had been emitted almost exclusively from the Left. But here was a distinguished conservative commentator inviting us to reconsider FDR’s achievement and legacy. Conservatives need not agree with Lord Black about every particular in order to find his presentation illuminating and intelligent. Sometimes complicating our historical understanding contributes more than the effort to settle it. Hence our uneasiness about premature historical closure. Arriving at the truth about many of the issues and figures in this story is difficult. The events are swaddled in the gauze of espionage and ambiguity of high politics. Many historical sources contradict one another or have been incompletely deciphered. Only a small percentage of decrypts from the so-called Venona Project, for example, have been translated and made accessible. Yet what has been published contains many startling revelations, including definitive evidence that Julius Rosenberg, who was executed for passing atomic secrets to the Soviets, was indeed an enemy agent. Diana West may be wrong about various aspects of the history she relates. She may exaggerate and over-dramatize. Where she errs she should be corrected. But, in drawing a parallel between the government’s willful blindness to the dangers of Islamist ideology now and the blithe indifference to Communist influence in the 1930s and 1940s, she continues an inquiry that has unfinished business.